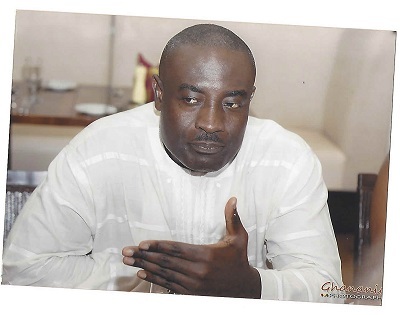 Felix Gyekye is a 46 year old Ghanaian, married with two (2) kids. He chairs the Board of Atlas Rent A Car. He is currently a Board member of BSIC (Ghana) Limited. He is also the Chief Executive Officer of Cardinal Petroleum from January 2010 to date. Mr. Gyekye was the Chief Financial Officer at the Standard Chartered Bank in America from October 2006 to March 2009 where he controlled a Balance Sheet size of over USD 30Billion, with USD7 Billion assets under management. Felix was also the Executive Director of Finance, Standard Chartered Bank Ghana and the Area Finance Head of West Africa from October 2003 to September 2006. He worked closely with the Chief Executive and Business Heads by proactively engaging the business in strategy review, budgeting, forecasting & monthly performance management. He was the Head of Finance Shared Service Centre (Covering Central and West Africa) from September 2001- to September 2003. He set up finance Shared Service Centre in West Africa to centralize transaction processing payments and reporting for 6 countries in Central and West Africa. He was the Regional Finance Manager of Standard Chartered Bank London office from March 2000-August 2001. In June1998 to February 2000, Mr. Gyekye was the Financial Controller of Standard Chartered Bank Ghana. He was also the Audit Manager of KPMG from January 1994 to May 1998. Mr. Addae-Mensah was appointed as a member of the Board of Atlas Rent A Car in 2012. 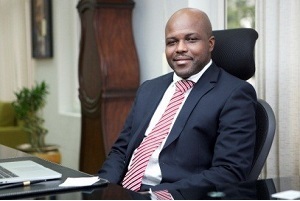 Kojo Addae-Mensah is Group Chief Executive Officer of Databank Group. He has over 18 years of experience in financial services. Prior to joining Databank Group, he was the Chief Operating Officer of Ghana Commercial Bank Limited, Ghana’s largest and most profitable bank. Before that, he was the Chief Operating Officer of Barclays Bank Ghana Limited, the largest foreign-owned bank in Ghana. He has a wealth of experience and an in-depth knowledge of the financial services industry in Ghana. Kojo’s experience is not only in the commercial banking space, as his career began at Databank in 1998 with the corporate finance team. This is where the Databank’s Leap High values of Leadership, Excellence, Humility and Integrity were imbibed in him. Kojo has lived by these values throughout his successful career and will continue to ensure it is the cornerstone of Databank Group. After his short stint at Databank in the 90s, Kojo worked with the Standard Chartered group for several years where he played various roles in Ghana, India, Kenya and Botswana. Kojo is an avid soccer fan, wrote a column in the Kotoko Express for over 15 years. Kojo is a national TV pundit and also hosts the morning show on various radio stations from time to time. With a heart for helping those in need, Kojo is a Director of the Changing Lives Endowment Fund, aimed at supporting bright and needy children at the SHS level. Kojo is motivated by his desire for excellence and results, which is reflected in every task that he completes, both inside and outside of the office, and in the people that he surrounds himself with. Kojo holds both an MBA in Finance and a BA in Economics from the University of Ghana, Legon. He is married with one child. – (A.G. Managing): Mr. Akwasi holds B.Sc. Degree in Biochemistry from the Kwame Nkrumah University Science and Technology, and Entrepreneurial Management Certificate from EMPRETEC. He has over ten years working experience in the transport service business, having founded Atlas-Rent-A-Car in 2003. Akwasi manages staff strength of 36 and has a hands-on approach to managing the company. He is also a director of Optimal Microfinance Ltd,a bank of Ghana licensed microfinance company. He is a Lawyer by Profession. He holds LLB (Hons)) from the University of Buckingham England. 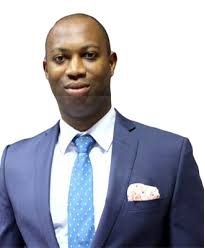 He is a senior associate at Aelex Legal Practitioners & Arbitrators. He was also a senior associate at Kulendi@Law and also a Legal Assistant to Charles Allotey & Co Solicitors.